At its core, the climate crisis is attributable to the burning of fossil fuels. To solve this crisis we must end our use of oil as a source of energy. Weaning ourselves off of dirty energy and transitioning towards renewables is the only way we can move forward without inviting an apocalypse. We cannot afford to abide the subterfuge and mendacity of the fossil fuel industry. Long before Donald Trump was active on the national political stage fossil fuel companies were crafting their own alternative facts and subverting the truth. 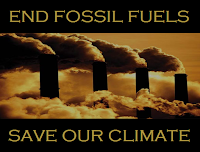 The fossil fuel financed pseudo-science seeks to muddy the waters and obscure the plethora of good peer reviewed research that identifies the burning of fossil fuels as the leading source of climate change causing atmospheric CO2. As a leading purveyor of fake news we need to call them out and hold them accountable for their war on science. Fossil fuel-funded front groups like the Heartland Institute are a major source of alternative climate facts. They helped to elect Donald Trump with a last-minute deluge of campaign spending and as such they are largely responsible for giving the undisputed king of deception the keys to the White House. Fossil fuel interests have undermined democracy and imperiled life on Earth. 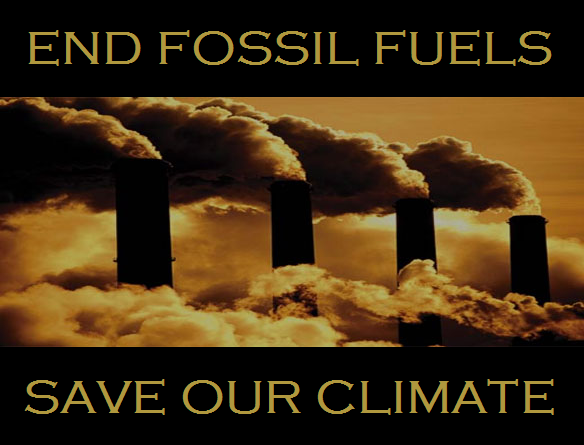 There can be no doubt about the fact that fossil fuels are the cause of climate change. In 1959 Edward Teller warned the oil industry that CO2 causes global warming and concomitant sea level rise. Since then a succession of researchers have come to the same conclusion, this includes a major study published last year. This study clearly attributed the rise in industrial CO2 emissions to warming surface temperatures and sea level rise. The fossil fuel industry has ignored and actively undermined the science of climate change for decades. In 1967 Robert Dunlop, Chairman of the Board of the American Petroleum Institute continued to advocate for fossil fuels even though his comments reveal that he clearly knew about the tailpipe emissions that emanate from combustion vehicles. In the 1980s the link between fossil fuels and CO2 was known by scientists. Climate change is one of the most intensely studied phenomena in human history. In 2018 it is clear that the science is settled, fossil fuels are the leading cause of climate change. The fossil fuel industry, the most profitable industry in human history, has engaged in a conspiracy of silence and misinformation. Rather than accept the truth dirty energy has gone from bad to worse using their deep pockets to hijack the political agenda and continue their assault on planetary health.